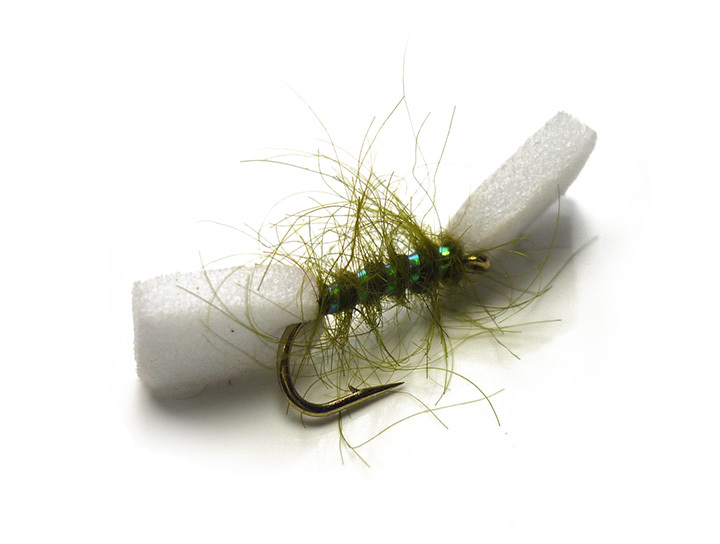 The Sugar Lump Buzzer Olive is a great stillwater fly pattern for both brown and rainbow trout. It is often best fished during the season on a floating line and long leader to trout that as intercepting buzzers as they emerge on the water's surface. Simply cast out the sugar lump buzzer and leave it to do its work, the cruising trout will soon rise to it. A fly for flat calm conditions when trout are actively searching the surface film for emergers and the perfect fly for big overwintered trout in early spring. The Sugar Lump Buzzer Olive works from March onwards and will also take fish on mild mid-winter days.